Bothered by busy trails and poor trail etiquette? Here's how every hiker can address the issue of overcrowded trails. When I started as the travel and outdoors reporter at The Seattle Times, among the first advice I received was to be careful when writing about hiking, because people feel strongly about “over-loved trails” in Seattle. Based on reader comments and emails, this has proved to be true. When I ventured out to my first popular local trail — Poo Poo Point in the Issaquah Alps — I went midday on a gray, rainy weekday, and was surprised to find it pretty much empty. It was only when I went back the next week in drier weather that I saw what people were talking about. The trail was packed, and I had to navigate around faster and slower hikers here and there. Still, it wasn’t as bad as some had made it sound. But while increased engagement with the outdoors is a good thing, poor trail etiquette and unethical practices can have a harmful impact. The good news is hikers are not powerless in the face of heavily-trafficked trails and unsustainable outdoors practices. I spoke with Kindra Ramos, avid hiker and director of communications and outreach at the Washington Trails Association (WTA), and together we came up with some actions every hiker can take to confront the issue of “over-loved” trails. There are more than 3,000 trails on the Washington Trails Association’s Hike Finder Map, and more are added regularly. The WTA database doesn’t even account for all the trails in Washington state. So if it’s solitude you seek, look beyond the popular trails like Poo Poo Point and Rattlesnake Ledge. Ramos suggests taking a chance on a new trail by randomly selecting a hike from the Hike Finder Map, or filter your results based on specific criteria. Also good to know? New trails are created every year. You can check with your local city council or parks department to find out where they are. Don’t feel like taking the risk on a new-to-you trail only to find it crowded? The WTA and AllTrails websites have trip reports and reviews written by fellow hikers. Check them out before you go. Not afraid of a little rain, are you? 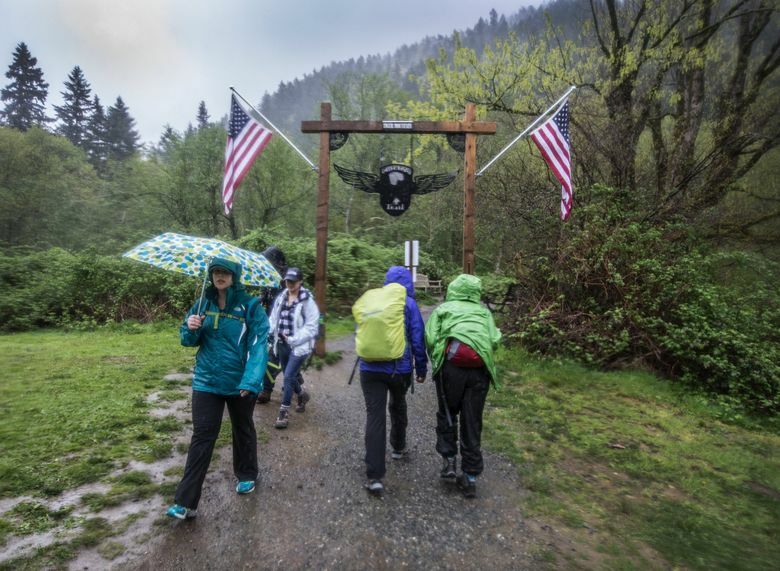 Despite Pacific Northwest locals’ notorious tolerance for gray skies and wet weather, trails are likely to be less busy on rainy days. So pack your rain gear and get out there. Ramos herself dons a headlamp and hits the trail in the early morning to avoid crowds. “It’s an opportunity to see a trail in a different way,” she says. She recommends hiking at off-peak hours — like early mornings or weekdays. Trail maintenance requires a lot of work and willing volunteers. If you’re concernedabout the impact on your favorite trails, join a local work party or stewardship program to help combat trail erosion and assist with trail maintenance. The Pacific Crest Trail Association, the Washington Nature Conservancy and Seattle Parks and Recreation’s Trails Program offer plenty of opportunities. For both new and seasoned hikers, volunteering can be a great way to learn more about trail maintenance and emergency preparedness. Can’t get your hands dirty maintaining trails — or just don’t want to? Use your voice instead. “As you saw during the closure, volunteers can’t do it all, so in addition to giving back via volunteering, I really encourage hikers to talk to their representatives about why investing in these infrastructures is so important,” says Ramos. WTA is scheduled to host a Hiker Rally Day in Olympia, when concerned hikers can meet with legislators, engage in outdoors training and network with others, on Tuesday, Feb. 19. Registration information is available at wta.org/get-involved/events. Bothered by the poor trail etiquette of others? They might just be unaware of best practices for keeping our trails safe and minimizing our impact on them. That doesn’t mean angrily confronting people on the trail. There are more effective ways to share your knowledge. Direct people to resources on sustainable practices. You can also share tips on social media or volunteer as a group hike guide. Still learning yourself? Seek out a friend or experienced hiker you know and ask for pointers, join a Meetup group for hikers, or subscribe to an outdoors magazine. (Many offer tips for hiking safety and best practices.) 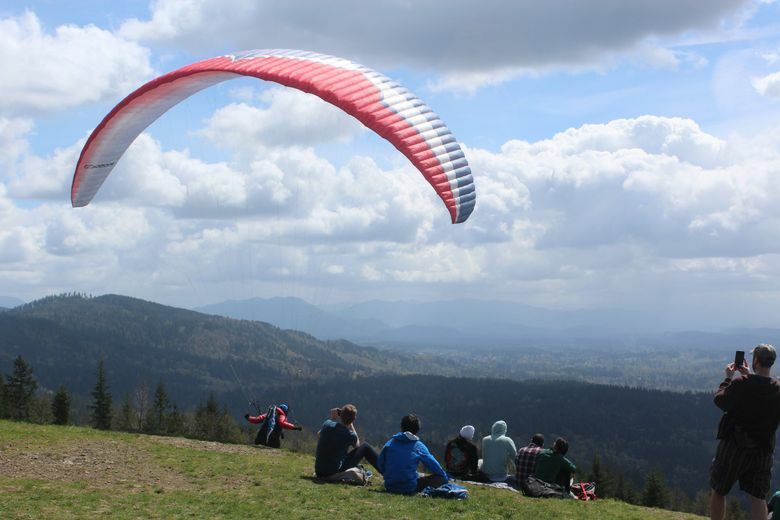 There are also outdoors workshops and courses available through organizations like REI, the Washington Trails Association, the Mountaineers and other local outdoors groups. It’s not for everybody, but if you embrace some of the positive aspects of a busy trail, you might like it. “Often, trails, when they’re built right, can hold folks sticking to the path,” says Ramos. She also emphasizes the importance of annual maintenance and the volunteers and land managers who help maintain Washington’s trails. As long as users are engaging with an eye to sustainability, a busier trail experience is just a different trail experience — not necessarily a bad one. In fact, there are even some positive aspects. For new hikers, busier trails can offer a sense of community and safety. And there are always other trails. Parking is a major issue at several popular trailheads. When lots are full, hikers often resort to parking on the sides of the road, creating a traffic hazard. Consider alternatives like Trailhead Direct. The trail might still be crowded, but seeking alternatives to driving will at least reduce your carbon footprint and spare you parking woes.